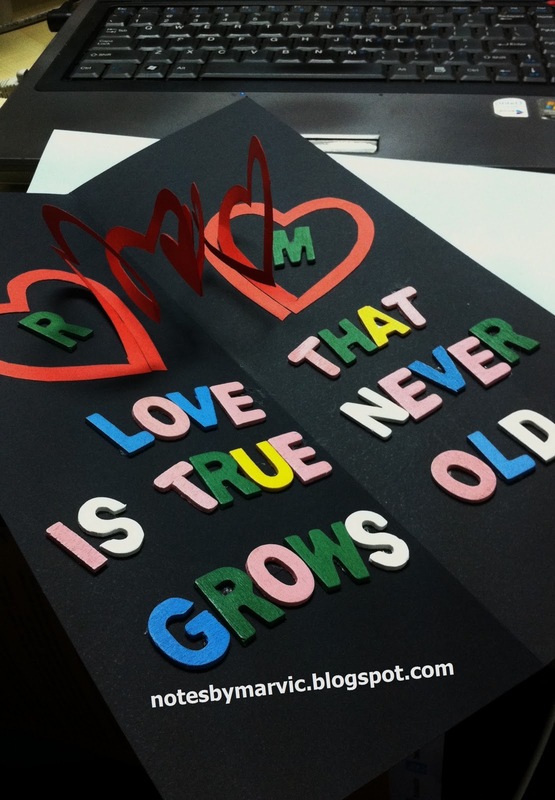 Love That Is True Never Grows Old - a quote by Elben Bano best describe my opinion about true love in a relationship. 30th October 2011 marks two years of our journey in this relationship. We have been best friend to each other since then and started to shower ourselves with unconditional love in this relationship. It would be great if both of us be able to spend the day celebrating our journey of love but it is impossible as we both is no longer stay in the same city like before. My career path en-route me away from him to the Land Below The Wind ~ Sabah when we just hit our 1st anniversary in October 2010. Nevertheless, we managed to stay in touch all the time through phone call and messaging. Lucky for us too that sometimes my work need me to be in KL when needed and this gives us the chances to meet up and spend sometimes together before I fly back to KK. 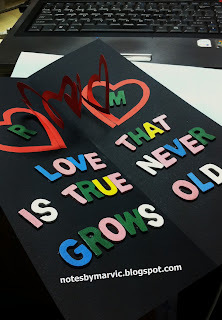 This time around, there is no fancy or exclusive celebration or anything but the only thing I can do for him is by making him a card with my thoughts of love. At first, I plan to order some cupcakes to be delivered to his office along with this card but I canceled my plan at the last minute. But hey.. he is coming over today for the weekend and that is definitely one precious gift he can ever give to me for our 2nd anniversary. What else I can ask for now other than enjoying this coming weekend with him touring KK. Wahh 2nd anniversary with boyfie dy? Congrats.. Here's to many many more years to come.. (and to a happy wedded life!) *cheers!